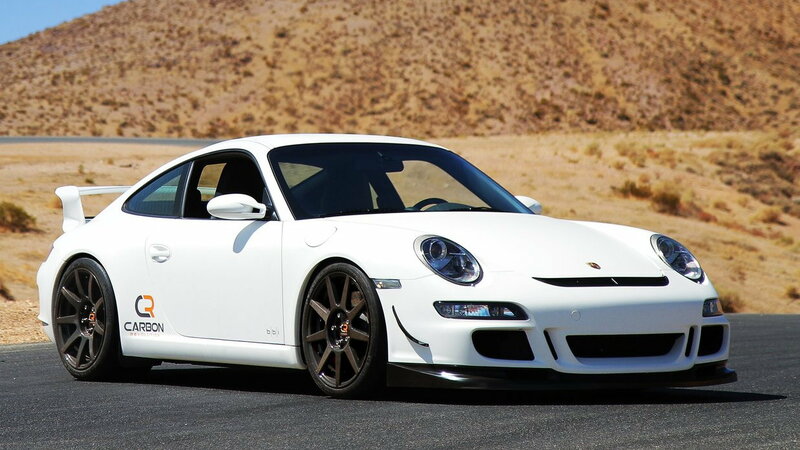 Carbon fiber wheels: a costly upgrade, but better performance? Bengt Halvorson December 26, 2012 Comment Now! As the industry looks to meet tough new fuel economy targets while still stepping ahead in performance, safety, sophistication, and on-board technology, watching weight by moving to advanced materials like carbon fiber is going to be increasingly common. Using carbon fiber for parts, panels, and structural pieces (and even in the upcoming BMW i3, for the entire body structure) is widely seen as a strategy to shave extra pounds. 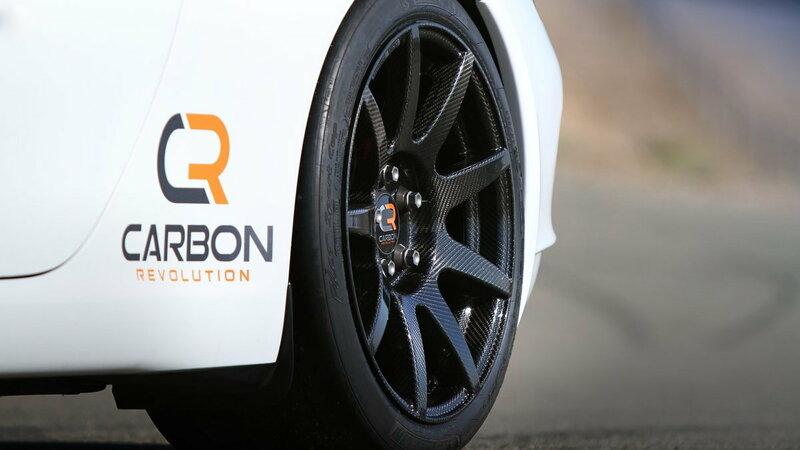 Meanwhile, an Australian company, Carbon Revolution, has shown how carbon-fiber weight reduction could be bolted right in: with special wheels. 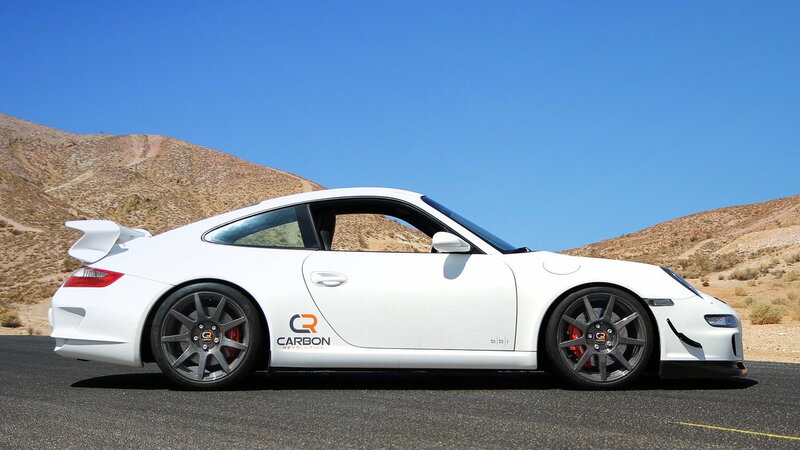 Carbon Revolution claims to have the world's first one-piece carbon-fiber wheels, and they're already available in very limited numbers for the Porsche 911. The 19x8.5 and 19x12 wheels mount directly on any of the water-cooled models, accept the original factory center caps, and are compatible with the OEM tire-pressure monitoring system. And on a 911, Carbon Revolution cites a weight savings of more than ten pounds for each wheel (a total of 41.2 pounds, or 18.7 kg). Now for the sticker shock: At a cost about $15,000 a set, they'll significantly lighten your wallet, too. But the company does point out that this is the equivalent of adding horsepower, bolstering the brakes, improving grip, upgrading the suspension, and/or adding more sound insulation. A high cost, but big benefits? The net benefit to automotive enthusiasts (or chassis engineers) is that you have a 40- to 50-percent reduction in unsprung mass—which can yield lighter, shaper steering, better handling, and even better acceleration, while reducing noise, vibration, and road harshness. They allow some natural damping from the material itself, which is what helps them achieve impressive gains in the 9-20 Hz 'secondary ride' frequencies that are especially troublesome for chassis engineers to tune out. And with full-on integration of carbon-fiber wheels in an OEM application, and the engineering to incorporate them from the start, suspension arms can be lighter, to save between 20 and 30 kilograms (44 to 66 pounds) in all. Based on a study performed by the company but independently verified, the use of these wheels alone could yield a gain in fuel efficiency of up to four percent, while full integration of the wheels in an OEM application (taking into account the lightened suspension pieces and other such changes) could yield a six-percent boost in efficiency. The publicly available model, the CR-9, represents nearly seven years of development, and with a true one-piece carbon-fiber construction, they borrow techniques from the aircraft industry—with a patented manufacturing process developed by the company. Each of the wheels undergoes a full X-Ray CT scan before receiving a final aerospace coating and surface finish. 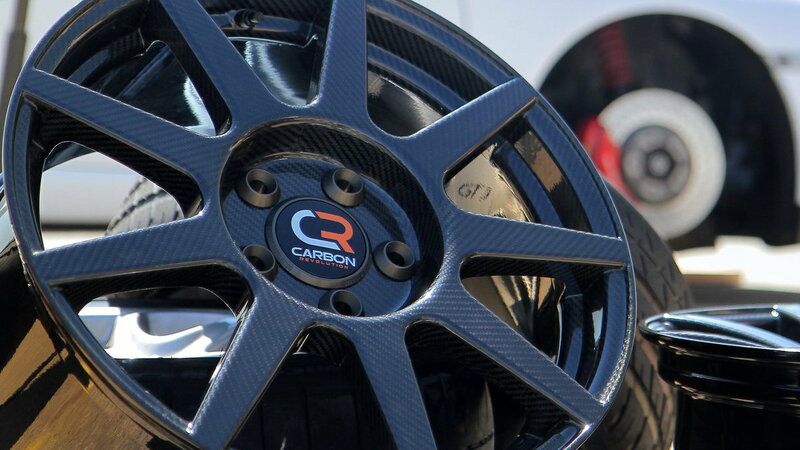 Carbon Revolution says that they fully comply with SAE, TUV German aftermarket and AK-LH 08 German OEM standards. Additionally, the company has implemented a plan for proving the wheels for OEM applications, using Opel's Dudenhofen Proving Grounds near Frankfurt. The company will soon make wheels available for the Lamborghini Gallardo and Audi R8, and the initial offerings for the Porsche 911 will soon be available in the U.S. through BBI Autosports, RStrada, and Wheel Warehouse. Don't expect to see them everywhere anytime soon, although prices should drop somewhat once the company gets up to speed. It hopes to produce up to 6,500 wheels a year with its present facilities, or four times that with more capacity—with the eventual goal of making 250,000 wheels per year for 60,000 vehicles, including about half for OEM applications and half for the aftermarket. “That reflects the scale and capacity we have,” explained Dingle, who said that the company isn't quite at the point where it has the level of automation required for higher-scale mass production. They're ideal candidates for high-performance cars, said Dingle, who pointed to the impressive durability, impact resistance, and performance under fatigue of carbon-fiber; he noted that if and when these wheels do fail, they do so in a relatively safe way—of gradually losing pressure at the bead. Life expectancy for the wheels is comparable to that of aluminum or steel wheels, even in harsh environments. There's also the aesthetic factor. Carbon Revolution points to the distinctive look of the material—and that it's considered a premium design cue. Again looking to the future, these wheels show potential well beyond performance cars; they may also be put to use in some of the most advanced 'green' cars. Their thinner construction and lighter weight make them ideal candidates for electrified vehicles with in-wheel motor applications. At whatever time that concept becomes a reality, Carbon Revolution should be ready to step up with a performance-proven design. In the meantime, if these wheels deliver on their claims, they may prove to be one of the better upgrades you might make on a newer top-performance vehicle—although we note that we have absolutely no hands-on or ride-along experience at this point. Carbon Revolution plans to make a demonstration vehicle available to us in the near future, and we look forward to making that comparison. 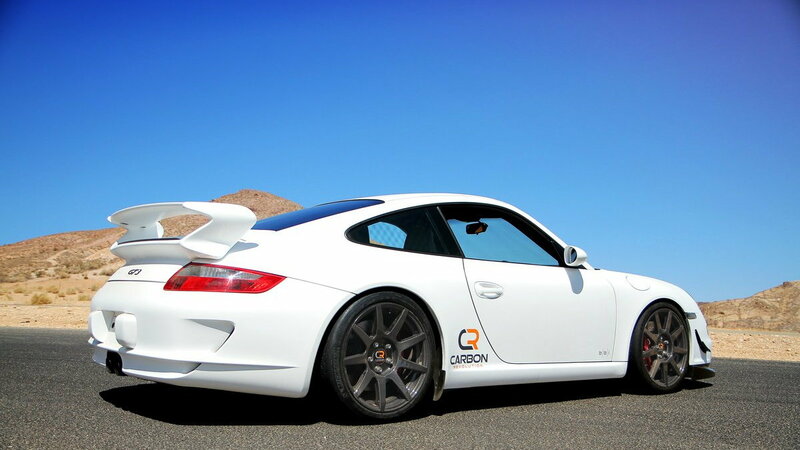 World's First 'One-Piece' Carbon Fiber Wheels Now Available In U.S.